As part of the media partnership with the Intercultural Theatre Conference that will be organised on 25-28 November in Singapore, ASEF culture360 has interviewed one of the keynote speakers in the conference, Phillip Zarrilli, internationally known as a director, actor, and actor-trainer. Phillip is the founding Artistic Director of The Llanarth Group in Wales, UK. His current directing credits include Guest Director at the recent Taipei International Festival 2014, where he directed Kaite O'Reilly's the 9 Fridas with Mobius Strip Theatre, and Nordland Teater in Norway where he will direct Ota Shogo's The Water Station. He is Professor Emeritus of Performance Practice at Exeter University, UK, and teaches regularly at Intercultural Theatre Institute. His publications include Psychophysical Acting: An Intercultural Approach After Stanislavski and Kathakali Dance-Drama: Where Gods and Demons Come to Play. Could you tell us more about your work with the Intercultural Theatre Institute (ITI)? 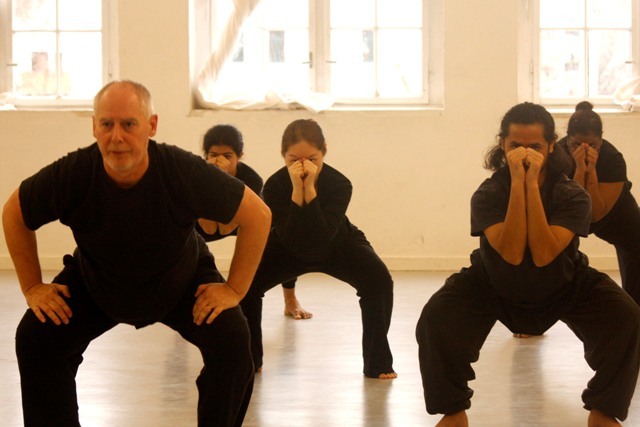 What is your approach to theatre training in the context of Singapore and Southeast Asia? I have a lengthy history of working with ITI/TTRP. My relationship began when I first met Kuo Pao Kun at a conference in Australia in the mid 1990s; this continued with a first visit to teach an intensive workshop in my approach to intercultural actor training using Asian martial arts as a pre-performative approach to training the actor’s (embodied) awareness, attention, and concentration. Because I have developed an approach that begins from the techniques, elements and principles of Asian modes of embodied practice (martial arts and yoga), my approach to theatre training in Singapore/Southeast Asia does not differ from what I do elsewhere—such as my recent intensive six weeks training professional actors in Taipei as part of a production of the 9 fridas for the Taipei Arts Festival, 2014, or in Norway at a recent intensive with students at the Norwegian Theatre Academy. What differs is the actual process of clarification of how to use the elements and principles as they are applied to the specific acting problems which I am working on at the time. Going back to the theme of this year’s conference ‘Methods, techniques and strategies of making contemporary theatre’, which aspect of the theme will your keynote speech focus on? My keynote address at this year’s conference focuses on “inner movement”, that is, how certain modes of Asian psychophysical training can be taught to sensitize and open the actor/performer to affect, feeling, and sensory attunement in an intercultural context. I address the question of how one learns “to be sentient” and “open up a world” in performance. I elaborate the importance of how teachers/directors must help guide students through a process of understanding (in an embodied/practical way) the elements and principles of such trainings so that they are useful in their future creative work. What should be, in your opinion, an essential part of the intercultural training of any aspiring actor today? (3) that students learn to work with a wide variety of dramaturgies and are both expected to be “interpretive actors” (working with play-written texts) AND as “creative/devising actor/performers” learning how to structure, create, and make their own work in their own cultural context.